The Archangels are stepping in now to help you to ascend your frequency to the fifth dimension and beyond. 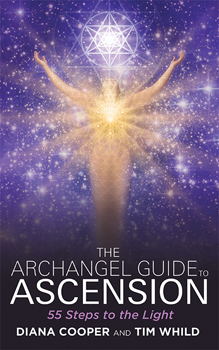 In The Archangel Guide to Ascension, they offer clear steps to accelerate your journey to the light. These steps are sequential so that your path will be smooth and clear. Each chapter offers guidance about the Archangels, information about the step you are on, and a visualization to assist you. Archangel Metatron, who vibrates with the number 55, is overlighting the whole book, and will be with you as you work with the guidance it offers.